Now the #1 international bestselling author returns. 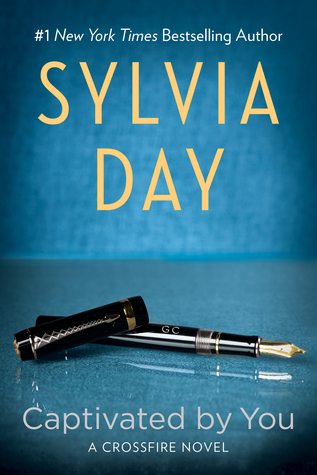 The new Crossfire novel by Sylvia Day. Gideon calls me his angel, but he's the miracle in my life. My gorgeous, wounded warrior, so determined to slay my demons while refusing to face his own. The vows we'd exchanged should have bound us tighter than blood and flesh. Instead they opened old wounds, exposed pain and insecurities, and lured bitter enemies out of the shadows. I felt him slipping from my grasp, my greatest fears becoming my reality, my love tested in ways I wasn't sure I was strong enough to bear. I'm not sure this book was really necessary. Nothing really happened in book #4. No wonder why I couldn't remember what Captivated by You was about. I did however enjoy the alternating POVs between Gideon and Eva. Now that I'm caught up, I can finally read One with You!